"I can’t say for sure if he knew I was helping him, but he definitely stopped fighting." Before animal control officer Shirley Zindler even laid eyes on the little creature she'd been called out to rescue last weekend in a California backyard, there was no doubt at all about exactly whom she was dealing with. "When I first approached, the area smelled," Zindler told The Dodo. "There was a strong odor of skunk in the air." But still she pressed on. Not long before that, the homeowner's dog had spotted a baby skunk on her turf and decided to give chase. In the resulting panic, the young animal had let out his spray — though while running from the pup, he quickly became tangled in some netting on the property. 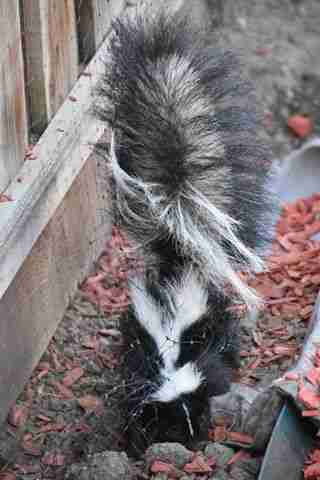 Now the poor skunk had no way of escaping on his own. By the time Zindler arrived, the dog had been brought inside, but the black and white baby was still clearly terrified. As she inched closer with a blanket in hand to cover him and block any more spray, the skunk seemed to think she too was a threat. Little could he have guessed at that moment, but his terrible day was about to get a whole lot better. 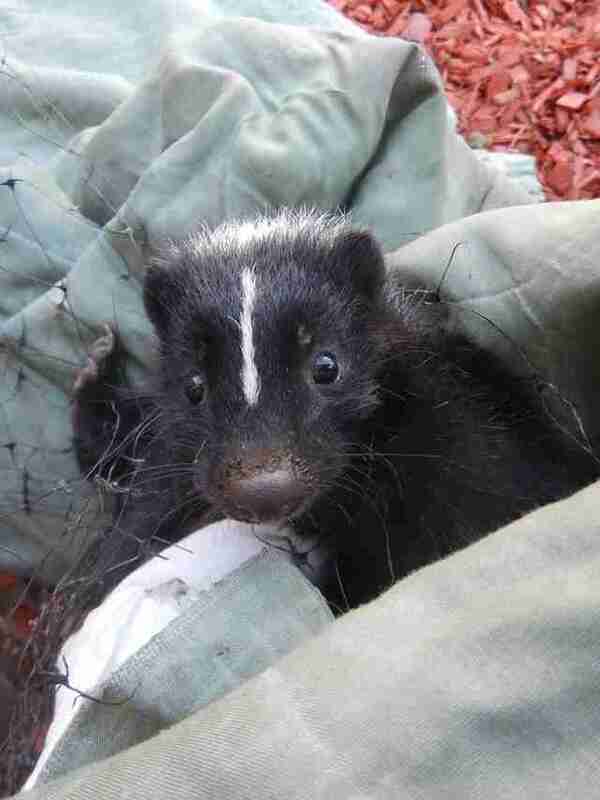 After Zindler covered him in the blanket so she could begin cutting him free, the skunk initially tried to battle back. But moments into the rescue, he had a change of heart — realizing, perhaps, what she was there for. "I can’t say for sure if he knew I was helping him, but he definitely stopped fighting," Zindler said. "Then he just sat there and watched me do my thing. He was looking right at me. It was very cool. He settled down and was very calm." 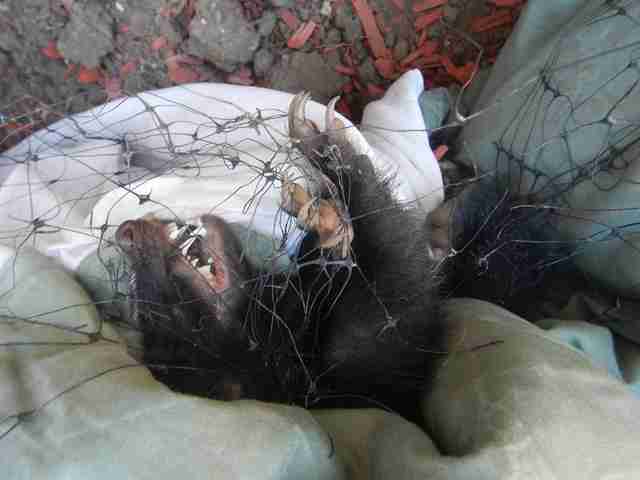 A short while later, Zindler was able to cut away all the netting the skunk was tangled in. After that, he was released to simply scamper away back to his den, no worse for the ordeal, but hopefully recognizing now that a dog's backyard is a bad place to roam. "It was just one of those really rewarding calls," Zindler said. "The animal would have definitely died without intervention, and in just a few minutes, you’re able to let them go back to being wild." "I had to throw the blanket away." 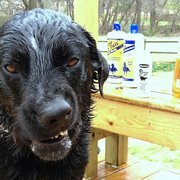 For more stories like this one, follow Zindler's Facebook page, The Secret Life of Dog Catchers.